Street food is one of the best ways to get to the nitty gritty of not only a city’s cuisine, but even its character, its history and its habits. It’s also a might fine way to eat your way through a city without burning a hole in your wallet and it happens to be the theme of this month’s Italian Table Talk, a discussion amongst four food bloggers of Italian cuisine’s true facets. Discover Venice’s bacari for some cicchetti with Valeria, get a taste of granita al caffe with Jasmin and Florence’s lampredotto (tripe) food vans with Giulia. Being a region that excels in the area of cucina povera, Tuscany has some wonderful street food – in fact, I think it’s the best way to lunch when in a city like Florence. Tripe and lampredotto panini food vans abound and porchetta sandwiches made on the spot at market stalls always hit the spot (Giulia talks more about that). But if you’re not into meat or are in need of something gluten-free, Tuscany has plenty more to offer than the favourite offal or pork products, especially if you’re on the coast as any sensible person in a full-blown Italian summer should be. 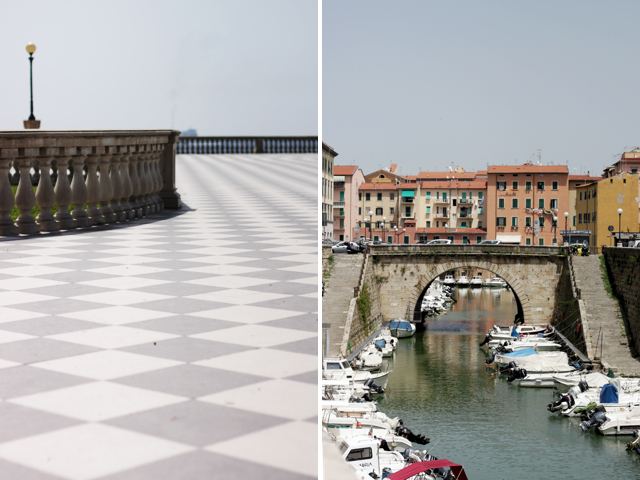 My favourite summertime destination is out of the stone-filled historical cities like Florence and Siena (the stones of the pizzas and buildings just act like a giant pizza stone, heating up throughout the day), and on the Etruscan coast, that stretch of coastline from Livorno towards Piombino. 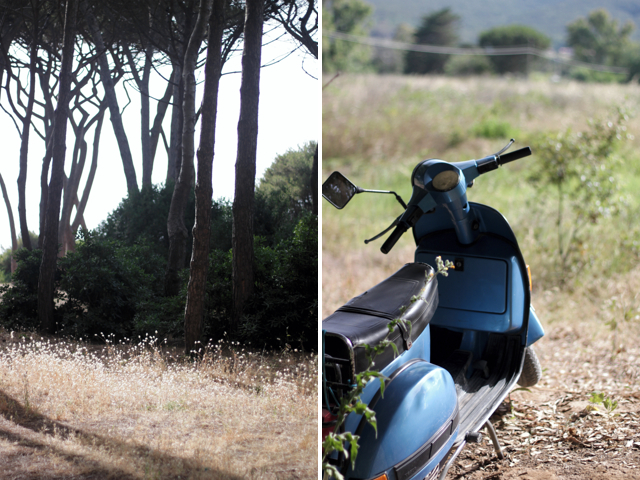 Marco’s family has a 1950s flat right on the beach in the old-school resort town of Cecina; we visit every summer. It’s appropriate as my favourite street food of the Etruscan coast is a sort of pancake made from the flour of dried chickpeas, known outside of the area as cecina (quick lesson in Italian pronunciation: when you see the letter c next to an i or an e, it’s a soft ‘ch’ sound, as in ‘checkers’ or ‘ciao’. When you see in Italian a ch, it’s pronounced as a hard ‘k’ as in ‘school’ or ‘bruschetta’ – oh yes, that word is pronounced brus-KE-tta! But I digress…). 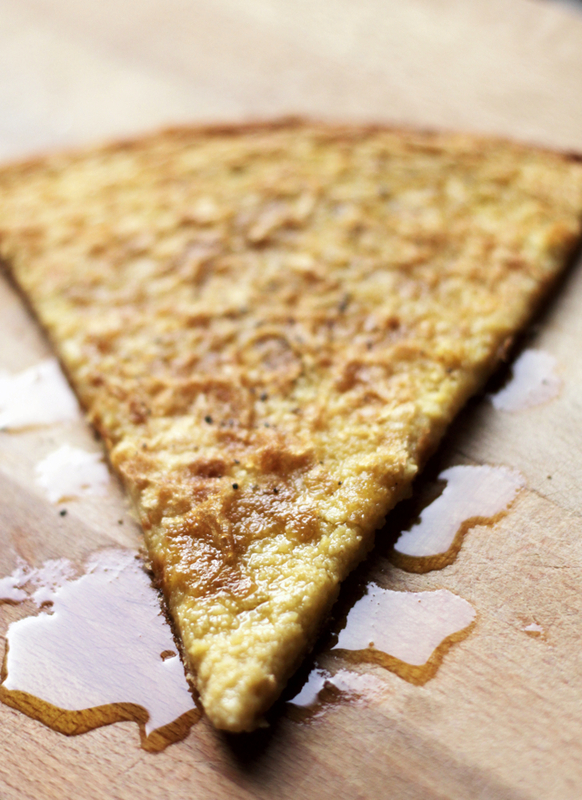 On the Etruscan coast, however, cecina is always known as torta di ceci, which literally translates to ‘chickpea cake’, but more than a cake, it’s pancake-like and baked like a very thin pizza, no more than 5mm thick. 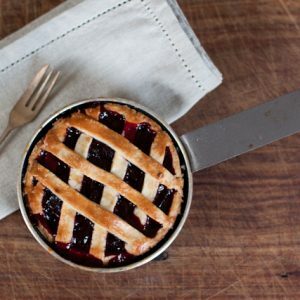 The smooth, very runny batter is poured into a large round pizza pan so that it is only a few millimetres thick and baked in a piping hot oven, preferably wood-fired like a pizza oven, to create a perfectly crispy top and a deliciously creamy middle. Torta di ceci is a beloved street snack particularly in the area of the port town of Livorno, where it is traditionally eaten fresh out of the oven with a generous grating of black pepper and a slosh of extra virgin olive oil. 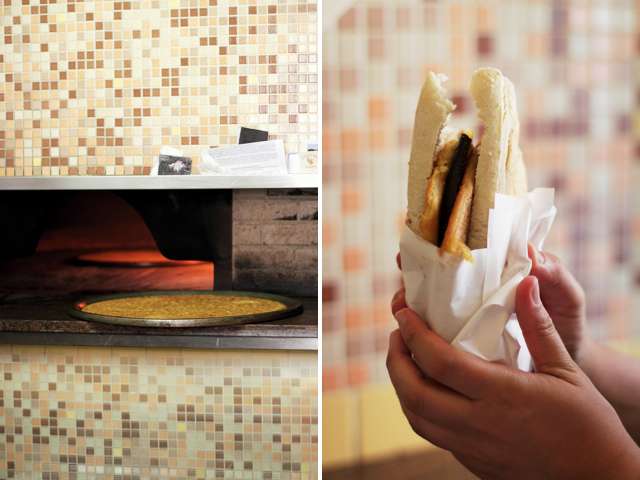 In Livorno you can still find a few places that offer the old fashioned delicacy of torta di ceci sandwiched inside a soft schiacciata (focaccia) roll or a crusty baguette, a snack known as cinque e cinque (literally meaning ‘five and five’, a reference to the old days when you paid five lire for the torta di ceci and five for the bread). Ask any of the locals around where to get the best cinque e cinque and they will point you to Antica Torteria al Mercato da Gargarin (Via del Cardinale, 24, Livorno. Closed Sundays), a hole in the wall shop outside of Livorno’s Central Market (hint, wherever there is a market, there is good street food). It’s all they have done for 52 years. 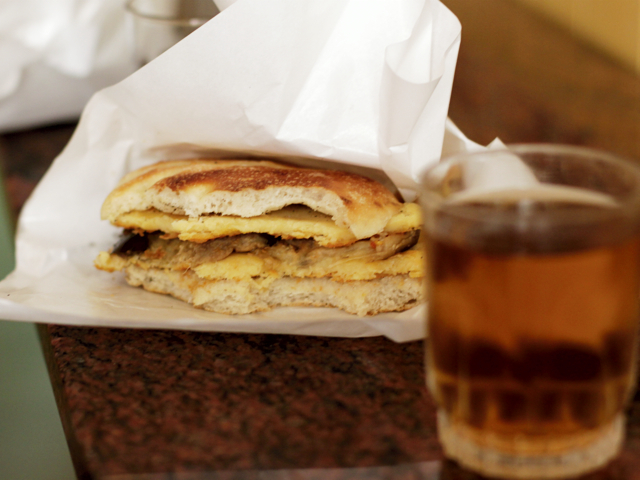 They not only offer plain torta di ceci, or simple cinque e cinque but also the most heavenly snack of cinque e cinque con melanzane – two generous portions of torta di ceci sandwiching a thick slice of grilled eggplant marinated in garlic and chilli, on a baguette or schiacciata that will set you back €2.80. Have it with a glass of the old-school spuma bionda (a ginger beer-like soft drink) and you won’t need to eat for the rest of the day. Street food should always be dirt cheap, if you ask me. It goes with not having a plate or cutlery to eat with, or having to stand or sit on a curb while eating and it’s all part of the charm. Torta di ceci has always been a cheap snack. 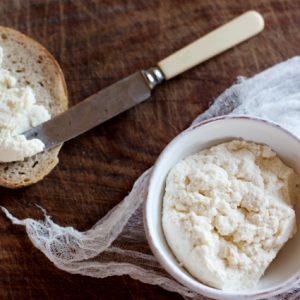 In fact, chickpea flour in this area of Tuscany’s coast has been used for centuries, a sign that traditionally good, white flour was once scarce or expensive. 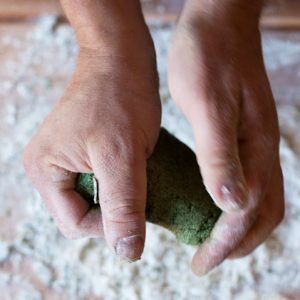 Alternatives to regular wheat flour are still an important tradition in Tuscany, and tend to be traditionally ancient and frugal options, such as chestnut flour, which is commonly used in the mountainous area of the Garfagnana near Lucca. The beauty of this dish is the chickpea flour’s naturally dense, almost smoky flavour, and the resulting crispy top and creamy middle. 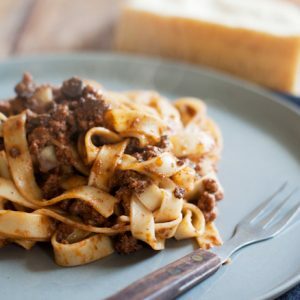 They say that the recipe’s origins are in the sea-faring port of Genova in Liguria, which is enough to understand how this popular dish spread to other port towns like Nice and Livorno. In fact, it is extremely similar to the favourite street snack of the neighbouring coastal region of Liguria, farinata, which is often embellished with freshly sliced seasonal vegetables such as artichokes or simply with rosemary (be sure to check out the blog post by my friend Michael from the Artichoke Blog with his recipe for artichoke farinata - you’ll see how similar the recipes are and there’s a great 30 second video that shows you how both torta di ceci and farinata are traditionally made). You will need a scorching hot oven and a pizza pan that is as wide as will fit in your oven. If you want to make this into a worthy Livornese cinque e cinque snack, you will also need a nice crusty baguette or soft focaccia roll and a spuma bionda – ginger beer could be a good substitute. Combine the flour and water together bit by bit to avoid creating lumps in the batter. When this is blended together and perfectly smooth, add the salt and olive oil to combine. Let the mixture rest for about 30 minutes. Heat the oven to as high as you can, around 250°C (480°F). Oil a pizza tray with olive oil and pour in the batter, turning to cover the surface completely. It should be about 3mm thick but not more. Bake in hot oven until golden brown and crispy on top. Serve hot with freshly ground black pepper and a beautiful, green extra virgin olive oil from the Etruscan coast. This was truly a delicious lunch, I loved how we all smiled while we ate this delicious 5/5 in Livorno! Interesting read Emiko, as always! It’s always nice to see that food doesn’t need to be expensive or posh to be beautiful! We ate at Antica Torteria al Mercato da Gargarin in Livorno and it was one of the best things I’ve ever eaten. We took the 5/5 and a glass of red wine and ate while sitting on the bridge just outside of the shop. We chatted with the locals who were doing the same thing. A wonderful memory from our October trip to Tuscany. So wonderful to hear! I adore that place. Nice memories, nice memories… Great post, wonderful photos as always! Thanks for also the recipe I will definitely make torta di ceci! lovely memories of delicious and simple food Emiko! have already made cecina with rosemary once last week with the ceci flour I bought at La Combusa and everyone loved it. I won’t be the last time since this is a perfect accompaniment to summer food such as tomatoes. I love your Italian Table Talks and wonderful Tuscany! The more I travel, the more I seek out mom and pop shops and street food. It seems the simplest things are the best- and you’ve really piqued my interest with the chickpea cake. I can’t wait to give it a try! Next time I’m in Italy I’m making my way to Livorno and trying this. Definitely. Lovely post! I tried making something like this from a boxed mix and it turned out terrible. I think I’ll start from scratch using your recipe. It will transport me back to the Cinque Terre, if only in my mind. With a recipe this easy, who needs a boxed mix?! We use this recipe at home and love it, I hope it does your memories justice! Gorgeous photos and such an informative post! A friend of mine just got back from Rome and then we went to see Woody Allen’s “To Rome with Love”; in short, I’m now dying to go back to Italy! I haven’t been since I was 16, but I still have family there and would love not only to see them, but to spend more time exploring Tuscany (where my grandmother is from) and the surrounding regions now that I’m old enough to appreciate it all…. Wonderful post, and a recipe that makes me nostalgic…. one of my favorite Tuscan snacks! The other would be Brigidini, but I’d always pick salty over sweet. Livorno was such a fabulous crossroads of peoples and cultures that I just can’t get over all the fascinating recipes.As a matter of fact, I just posted not one, but TWO, Livornese desserts on my own blog. Thanks for the beautiful post! Love Brigidini! I have yet to try the recipe myself – have to find the special castiron forms first! Nice article. I was born in Livorno (American serviceman father and Livornese mother). I went to school at Camp Darby, a US military base near Livorno, and as a kid I always thought that if poor, one could not starve because torta was always available for very little money. The only mistake you made is that the oil used is not olive oil, but olio di semi, sunflower oil. My mother’s cousin was a tortaio at the base of Via Magenta and I would watch him make the batter. Also, as the batter is maturing you have to remove the schiuma (scum) that comes to the top as it sits for 6 or more hours. If you don’t remove the scum the torta tastes terrible. Lovely to get this point of view from someone born there! I personally prefer olive oil in the mixture but you’re right, sunflower oil is commonly used too. Good point about removing the scum, thanks! Hi, I am curious about the amounts. 3 parts water to 1 part chickpea flour made an extremely watery consistency. Is it supposed to be the other way around? Like 3 parts flour to 1 part water? Hi! Yes, it’s correct, that’s the exact consistency, very runny. You need to let it rest and then carefully pour it into a baking tray or pizza tray with a rim. It shouldn’t be too high (less than 1cm, but around 5mm is best). Hi! We absolutely love torta. A friend’s mother in law was born in Livorno. She has a special pan she brought with her that she told us is what they used to make this. We have looked, with no luck, for a torta pan. Would you know about this and possibly what it’s called? We use our brick oven alot this time of year. Torta season is here and we no longer have access to that pan. I think I know the ones you mean, was it by chance a copper one? They are very traditional (and can be quite expensive). The pan you need is called either a “tortiera” or a “teglia” and it helps to search for the specific ones for this dish, which is often known as farinata (in Liguria, where it is very famous), eg, “teglia per farinata” or “tortiera per farinata. While not as romantic as the copper ones, I use a non-stick pizza tray. Hope that helps! Yes, it was copper! I’m trying to find one for a gift for my boyfriend and he, of course, wants the copper one. You’ve been extremely helpful. Many thanks!! !